However, this decision was made in haste while missing facts, and is inconsistent. This kind of punishment should have happened last year, and should extend to former Senate leader Marjory LeBreton, Internal Economy chair David Tkachuk, and Harper’s former Press Secretary Carolyn Stewart Olsen, who all played a role in the attempt to cover up the scandal and hence were involved in the act. Stewart Olsen repaid her misused senate expenses recently, is she honourable for doing so facing mounting pressure and an investigation on her efforts to whitewash an independent audit as part of a $90,000 plan? How can one make decisions with so many questions left unanswered? Nobody knows the full story of the entire scandal, but two things are evident: taxpayer money was misused and the government tried to cover it up. 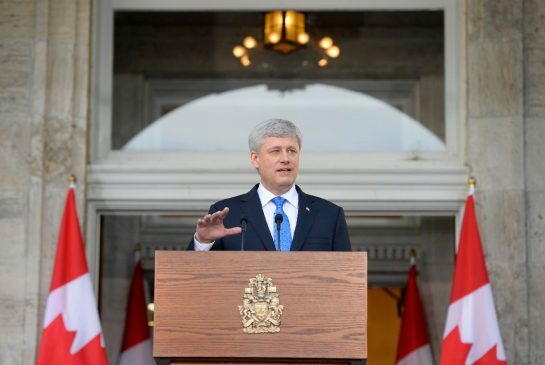 Prime Minister Stephen Harper told his supporters last weekend the Conservatives would “do the right thing,” but a year into the scandal and contradictions from he himself have left principle in a rut. While simple minds will argue that the suspensions are equivalent to private sector firing for similar offences, why then, hasn’t Stewart Olsen, who made the same “mistake” as Duffy, Wallin, and Brazeau faced the same fate? It is one thing to have a few bad apples, every government has them, and every government will. However, when the government tries to cover up the corruption and colludes to override the rule of law, there is a serious problem. Looking back at the timeline of the scandal, we see a progressively differing script. 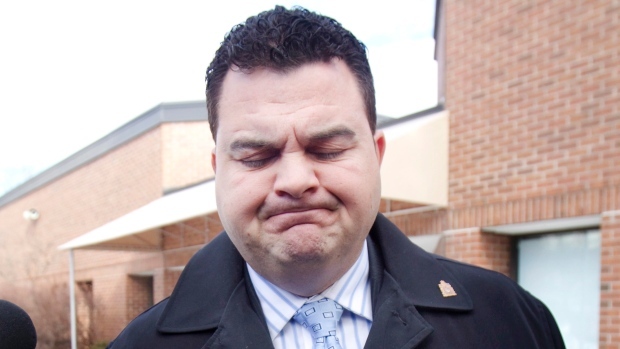 First, Duffy “did the honourable thing” returning money he wasn’t supposed to take in the first place. Second, Duffy actually received this money from Nigel Wright, who helped out a friend. Third, Wright made a big mistake and it was part of a deal – and only he knew about it and his resignation was then accepted “with great regret.” Fourth, the independent audit is found to be whitewashed, by a committee headed by Harper loyalists Carolyn Olsen and Tkachuk. Fifth, the rules are clear but apparently unclear. 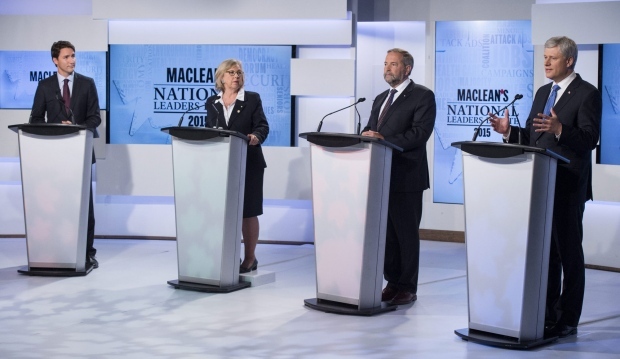 Sixth, Harper looked at Wallin’s claims himself and found there was no problem. 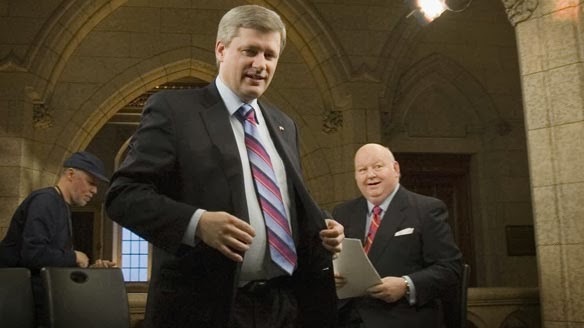 Seventh, the Conservative Party lawyer, Arthur Hamilton, paid Duffy’s legal expenses in the matter. Eighth, LeBreton wrote to Duffy that he was allowed to make these claims. Ninth, Tkachuk resigns for health reasons and LeBreton “retires.” Tenth, it turns out Harper “dismissed” Wright. Does any of this add up? Where in this timeline can anyone spot Harper doing the right thing? How can Duffy be honourable, and then suspended, and in the middle of a large cover-up? Going further, if this is the right thing to do, shouldn’t it also apply to MPs who break the law or are suspected of it? Wouldn’t it stand to reason, then, that in light of the robocall scandal where there is stacking evidence of voter suppression in the 2011 election campaign, that, Ted Opitz, Joe Oliver, and Dean Del Mastro, Shelly Glover, Eve Adams, and James Bezan, just to name a few, be condemned to the fate of these three senators? It’s telling of Harper’s view of “the right thing to do” that former Newfoundland MP Peter Penashue was allowed to run again despite his run-ins with public trust and the law – instead, it was voters who did Harper’s job for him and fired Penashue (without pay or any sort of MP status). 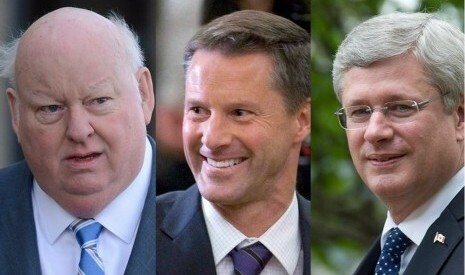 Inconsistency plagues the Duffy Affair and hence plagues Harper’s credibility on the matter. In Canada, people are innocent until proven guilty and while investigations in all the aforementioned cases point to wrong-doing, they haven’t been proven in court with due diligence. Hence, Harper’s decision to suspend the three senators is uncalled for and rejects the principle of “doing the right thing.” He should have done so earlier and there’s a growing list of Conservatives who have allegedly broken the law where this kind of punishment would be suitable. What do you think of the Senate’s decision to suspend the three senators without pay?